Roger Härtl, M.D., named as one of the top 50 spine surgeons in the United States, is Co-director of the Weill Cornell Spine Center and Director of Spinal Surgery and Neurotrauma at the Weill Cornell Brain and Spine Center. He’s also the official neurosurgeon for the New York Giants. Dr. Härtl's clinical and research expertise is in simple and complex spine surgery, neurotrauma, and neurocritical care medicine. 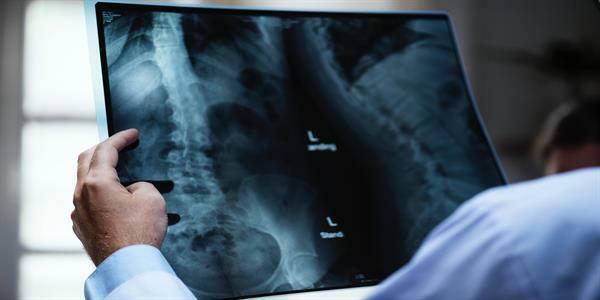 Dr. Härtl believes that surgery for ankylosing spondylitis should be a part of a multidisciplinary approach to treatment, and he works very closely with other specialists in a team effort to achieve the best outcome for his patients. Dr. Eric ElowitzEric Elowitz, M.D. Dr. Eric ElowitzEric Elowitz, M.D., is a board-certified neurosurgeon specializing in minimally invasive spinal surgery. Routinely named to national lists of top doctors, Dr. Elowitz is dedicated to providing state-of-the-art care with individual attention to each patient’s unique needs. Dr. Elowitz has developed a special expertise in new XLIF (lateral-access) procedures. Dr. Kai-Ming FuKai-Ming Fu, M.D. Dr. Kai-Ming FuKai-Ming Fu, M.D., Ph.D., obtained his undergraduate degrees from Stanford University and his medical and graduate training in the M.D./Ph.D. program at Albert Einstein College of Medicine. Dr. Fu specializes in minimal access surgery as well as having advanced training in reconstructive, deformity, and oncological spine surgery. Dr. Ali A. Baaj, is a board-certified neurosurgeon who specializes in spinal surgery, with advanced training and expertise in spinal oncology and complex reconstructive surgery for spinal deformity. He is accomplished in both minimally invasive spinal surgery and open complex spine surgery, having had formal training in both orthopedic and neurosurgical spine surgery. Dr. Michael Virk is a widely published neurosurgeon with specialty training in minimally invasive and complex surgery for a wide variety of spine conditions. In addition to ankylosing spondylitis, his specialties include scoliosis, spinal tumors, trauma, degenerative disease, radiculopathy, herniated discs, and spinal stenosis. Dr. Virk uses state-of-the-art minimally invasive techniques with intraoperative, computer-assisted navigation as well as spinal endoscopy. He also uses fundamental, open surgical strategies in patients who will benefit most from these.